You own several machines for different applications and you would like to keep it this way. In that case, our VHU vacuum units are a perfect solution. Our VHU vacuum units are self-supporting, i.e. independent of machines. 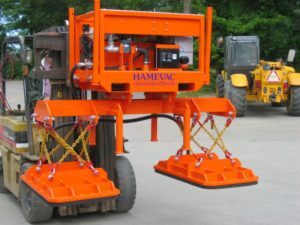 The VHU-3000 is provided with a solid frame and a lifting capacity up to 3,000 kg which can be picked up either with a chain or pallet fork, as desired. 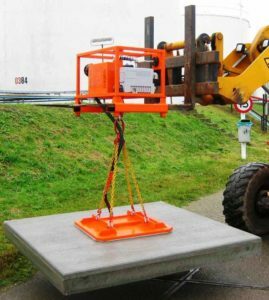 These frames are all equipped with a vacuum storage tank (in conformity with CE) that ensures that the concrete product remains in a lifted position should the power stop unexpectedly. 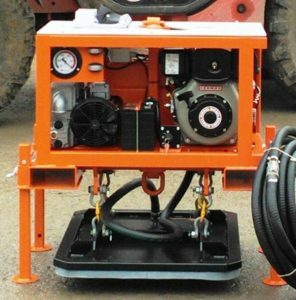 The VHU-3000 can be provided with a hydraulics motor, petrol engine or diesel engine as desired. 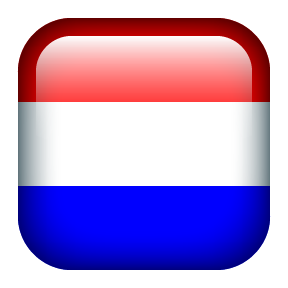 For loading and unloading products you can select either the mechanical or the radiographic operating controls. Finally, it is possible to hang the suction pad on the frame with a chain or install it directly on the standard framework present in which case you have a fixed connection. Before mentioned is dependent on the type of suction pad and the activities that have to be performed. 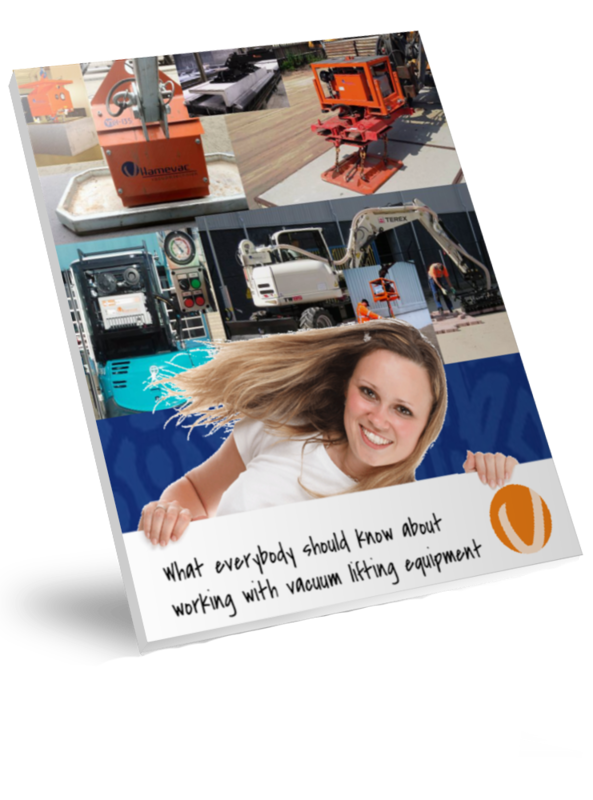 By taking all these tasks into account, you could use the units on excavators, shovel loaders and other machines already in your possession that are suitable for lifting concrete products. Our vacuum lifter VHU-10.000 is the larger brother of the VHU-3000. Of course we are speaking about a bigger unit with a larger frame. S.W.L. 10.000Kg. Also the technique is adjusted for the heavy labour. All used vacuum pumps have a capacity of 120m3/1800rpm, instead of the 48m3/1800rpm used with the VHU-3000. Also the used combustion engines have more horsepower. Last but not least are all VHU 10.000 vacuum lifters equipped with electric starting engines, and radiographic controls. The VHU-10.000 is excellent for usage with traverse and multiple vacuum pads.